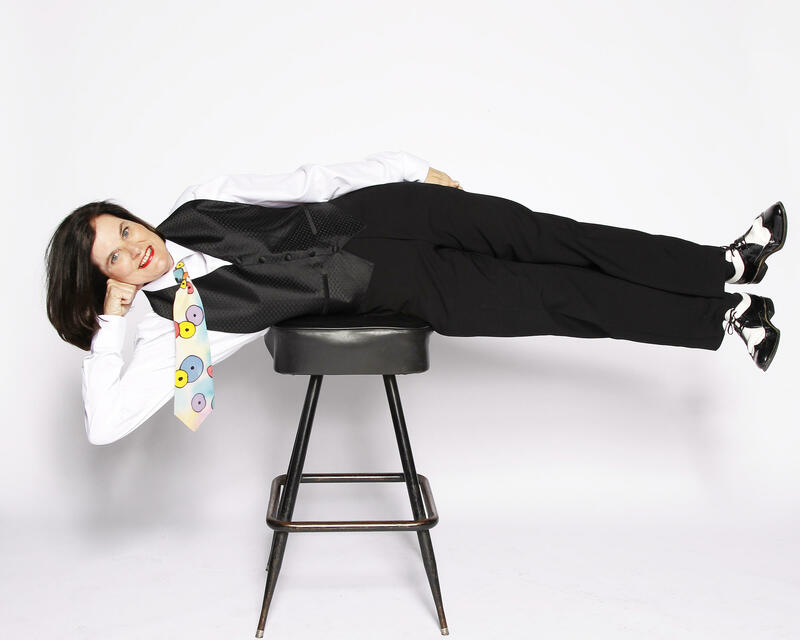 Paula Poundstone has been active as a standup comedian for nearly 40 years. She is a panelist on the top-rated NPR show Wait Wait…Don't Tell Me! 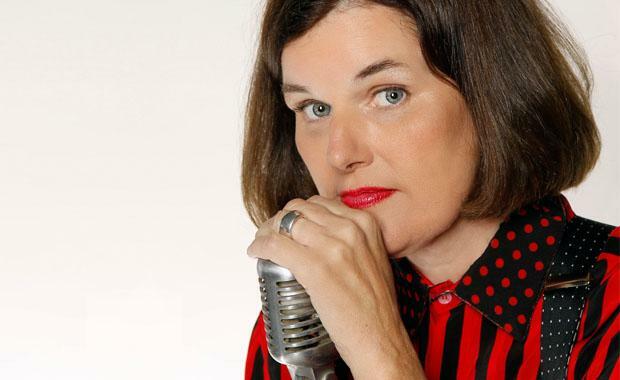 and host of the podcast Nobody Listens To Paula Poundstone. She is an author, most recently of The Totally Unscientific Study Of The Search For Human Happiness, and will perform at Wichita's Orpheum Theatre on Saturday, Oct. 13. When you're thinking about shows, where do you start with material? I've been doing this for 39 years, so I figure the inside of my brain looks something like, while I'm working, that arcade game where you step into a glass booth and they blow paper money around and whatever you can catch, you can keep. Somewhere in my head, I have 39 years of material flying around; whatever I can grab on that particular night, I can say. I have accepted a flaw in my performing style and eventually embraced it: I'm not a good memorizer; I get distracted easily. I mean to say this and then something else enters my head. I don't edit particularly well. I decided to embrace that years ago. There are things that I've said in many shows but no two shows are exactly alike. I talk about raising a house full of kids and animals, I talk about trying to pay attention to the news well enough to cast a halfway decent vote but my favorite part of the night is just talking to the audience. I do the time-honored "Where are you from? What do you do for a living?" In this way, little biographies of audience members emerge. I use that from which to set my sails. So, even if what an audience member says to me reminds me of a piece of material, and I drag it out and I say it, I didn't know that that's where I would be at that moment. Other times I say things that are unique to just that night. In part, I did that years ago because when I worked clubs I hated the idea of boring the waitresses. I didn't want them to have to live through the same thing night after night after night. [Laughs.] How did you find your voice when you were starting out. Did you just get up there and say, "I'm going to be myself and I hope they like it"? I started when I was 19 and so I'm not entirely certain I knew who I was. When you start out as a standup comic you start out doing open mic nights. There is a tendency to try to fit in with the type of material and the type of tone that's going on, successfully, on that particular night. I think I did a lot of that in the beginning. I was not entirely overhauling who I was but swinging in one direction or another on that night because it seemed to be what the audience liked. I think I did that as a human being also for a while. As I got older I sometimes even worked consciously at … I figure my process onstage is just being the most me I can possibly be. I know that that that's not going to be duplicated. I recently performed at the 38th Annual San Francisco Comedy Day in Golden Gate Park. Probably 40 comics go on, something like that, so this idea of, "Make sure you don't talk about the same subject." I'm not going to do that. I'm not going to watch 40 comics to make sure that we don't duplicate subject matter, but if I'm the most me I can possibly be, then I know that although I might duplicate subject matter with another comic, I may make a Trump joke, I may make an airplane joke — Guess what? Probably!—but I know that it's going to come from my perspective that is somewhat unique. The common sense of humor changes over time. You've had longevity in that. How do you weather those changes? I don't think it changes that fast, but I don't know if anybody could be The Three Stooges now. I don't know if anybody could be Abbott and Costello now. I find them funny, probably even for slightly different reasons than they thought they were funny. But as I'm watching it, I'm also well aware that it's dated. But that's a long span of time. The last really impactful change, I think, came from Robin Williams. For one thing, he did away with the segue. There was a time where, if you were on stage, you had to be telling a linear story. There always had to be some sort of background to what you were saying. Maybe Jonathan Winters did away with that first, but I think Robin did that more onstage as a standup in that sort of frenetic pace. It was helpful to those of us who don't write very well. A lot of the segues were unnecessary, the crowd could easily jump from thought to thought. What was that like to be in a room where Robin Williams is working and he's so manic and creative? Is that inspiring? He was from San Francisco, that's where he called his home anyways, so by the time I showed up on the scene there, Robin was … he was already a big star before I even started doing comedy. I showed up a little bit before Popeye. People would come out to see standup comedy in the hopes that they'd see him. He was part of what attracted crowds to all those clubs. Even all around the country. In the meanwhile, they saw me and my brethren and they liked us as it turns out. But, really, they didn't come looking for us. They came looking for Robin. He'd walk into a room and the whole crowd would turn and look over to where he was, no matter who was onstage. He would try to be discreet, he wasn't a grandstander that way. He didn't try to attract attention to himself. He was actually a very quiet man. He'd just walk to the back. But you knew then that the whole audience was just waiting to see Robin. Anybody with half a brain simply ceded the stage to him about that point. "Ladies and gentleman! Please welcome Robin Williams!" He was very hard to follow. It was fun to be around him because he was funny; he was probably one of the most generous people I've known in my entire life. And you couldn't help being excited by the brightness of his star. But, as a performer, it really wasn't great news to see him come through the door. Our station is an NPR affiliate and of course we love Wait Wait…Don't Tell Me! How was that show first presented to you and what's it like being in that environment? On one level I imagine it would be fun, but on the other hand, there are demands to be funny. It's such a great match and I had almost nothing to do with it. Years before that, I had worked on A Prairie Home Companion and I had been on that show a couple times and so it was suggested that I come do Wait Wait. This was a long time ago, 17 years ago, and I had never even heard of Wait Wait…Don't Tell Me! which I'm sure they hate me saying. In fairness, it wasn't on in as many markets as it is now. They called my manager and asked if I could come do this show. And, again, because I had never heard of it, I didn't answer right away. They sent me an audio cassette, that tells you how long ago that was, which just laid around on the island in my kitchen for a really long time. That's what I knew would happen if I had that island in the kitchen. That junk would gather there. And it did. I had a nanny who one day happened to see the label on the cassette and said, "Oh! Wait Wait…Don't Tell Me! I love that show. You have to do that show!" I think I might have listened to the tape as a result. I can't remember anymore. I did call up and say, "OK." Because I wanted my nanny to like me. At the time I first did it, 17 years ago, we were not in front of a live audience. We were in a studio wherever we lived. Carl was in Washington D.C., Peter was in Chicago — which is the headquarters of the show, Adam was in New York and Roy was in western Massachusetts. We just went to an NPR studio wherever we lived. We were hooked up by a wire and we weren't in front of a crowd or one another. Being together and being in front of an audience has brought a lot more energy to the show. But one of the most joyous sounds I ever heard in my entire life was this: The show started up and, in my ear, because I had a headset on, the director kept saying, "Jump in any time! Say whatever you want!" That's unheard of in my business. They don't say that just to me, they say that to all the panelists. Which is why it's often this free-for-all of jokes. One of the great things about the show is, to the best of my knowledge, people really enjoy doing it. There's not a huge thing about who said what. One person throws out a funny response to some news story and then another person tacks onto that. We don't really remember who started it or whose joke it was. And that's really freeing. You're also an author now. For someone who says that they don't necessarily have a great memory and who isn't great at transitions, what's it like to write a book? Really hard! When I'm writing I think that if I were to instead bang my head against the wall I'd chip the paint. There's a real similarity between banging your head against the wall and writing. The great thing about being a standup is that I think of stuff that I think is funny and I say it and I get an immediate response. It may not be the same response every time. One crowd may like it and another may not. But I get a response and it tells me how to set my sails. When you're writing, even if you were to show your writing to someone, there's the possibility that you'll never want to speak to them again but it's also one person's opinion. It doesn't have the same sway as getting that response from an audience. People who are good writers must have a phenomenal amount of self-confidence. I don't. Below is a clip from Poundstone's 1990 comedy special, "Cats, Cops, and Stuff..."